Green building design uses energy and water efficiently, reduces waste, works creatively with the local environment and climate to create healthy living spaces, and tread gently on the earth. What does green building or green design mean to you? 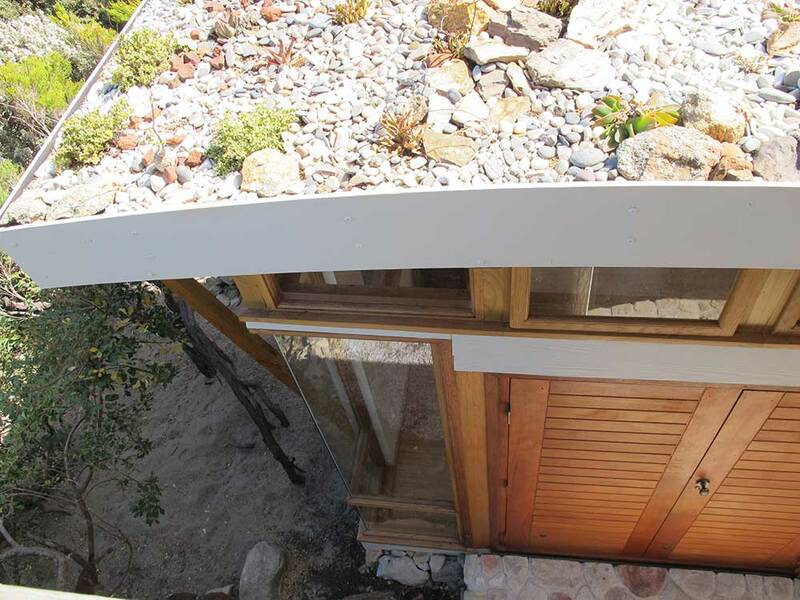 We use the principles of green design to implement resource efficiency, reduce waste, and work with local conditions and communities to create buildings that respond to their locality, brief and users, responsibly. Rather than wasting energy working against mother nature, we try to work with nature. Utilising the resources of sunshine, earth, wind and water, which when co-ordinated with appropriate layouts and materials, produce resource efficient buildings. Does it conjure images of expensive technologies, smart systems, and products which are good for the environment but not your bank balance? These technologies and products have value, but green design is more about an integrated approach to design, rather than a shopping basket of products. For example ‘passive design’ uses sunshine and breezes, orientation of buildings, and careful design of stoeps, windows and doors, roof, floor and wall construction, to improve interior comfort levels, naturally. This combined with good natural light and ventilation design, contributes to the overall health and wellbeing of those living and working in these well designed spaces. 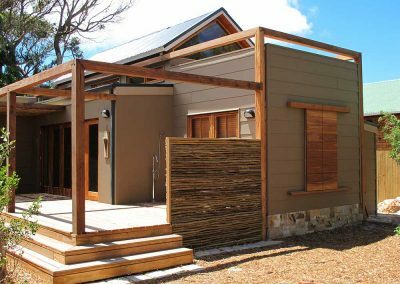 Passive design specifically takes advantage of the local climate to maintain a comfortable temperature range in the home; reducing the need for additional (electrical) heating and cooling, which typically uses up to 40% of energy use. 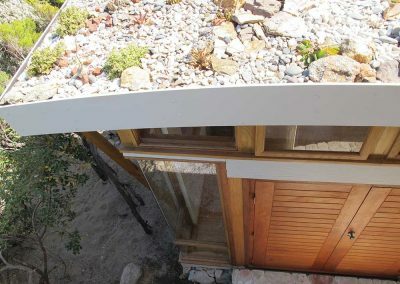 Clever rainwater harvesting and grey water use, along with solar water heating can fit within a standard house build budget. Providing you with a starter ‘off grid’ house which can be upgraded as and when the right technologies become available and affordable. 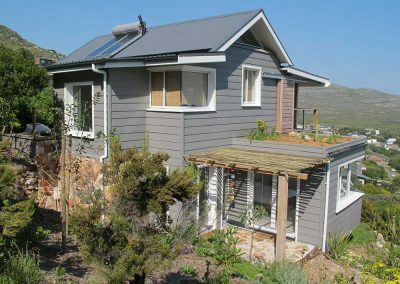 So building a green home need not cost any more than a standard home design. But it will save you money (lower electricity and water bills) give you a more comfortable and healthier living environment, and tread more lightly on the earth. If you can’t design the perfect sustainable house, there’s no point in building at all. House performance varies across the spectrum, from very good to very bad. Incorporating any element of sustainable building practice will make a difference. Simply specifying the optimal eaves widths on a project home or renovation may prevent unwanted sunshine over heating your home in summer. This step on it’s own will improve your thermal comfort and reduce energy bills. 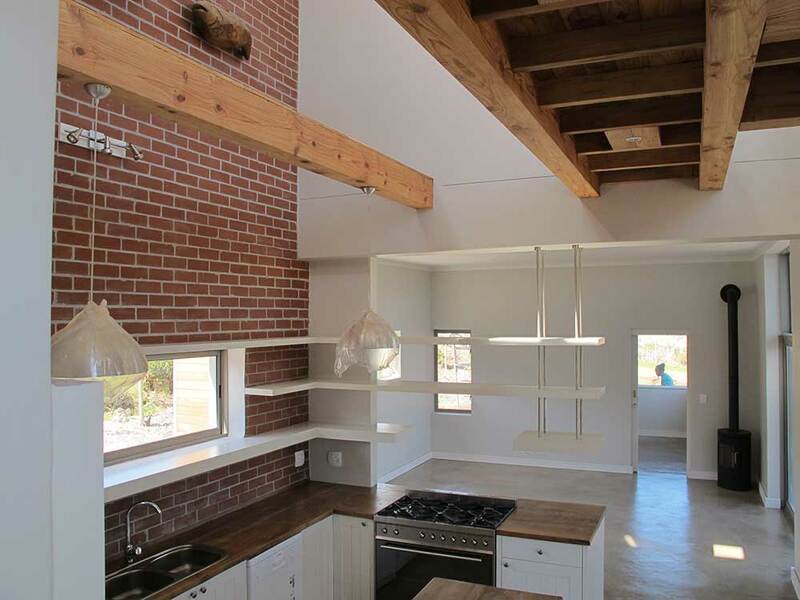 All home designs include compromises but try to do what you can to incorporate good design features. Everyone benefits from good home design. Occupants from all walks of life now enjoy lower energy bills and improved home comfort thanks to good design features. Everybody on the planet will benefit from reduced greenhouse gas emissions and better usage of limited resources. 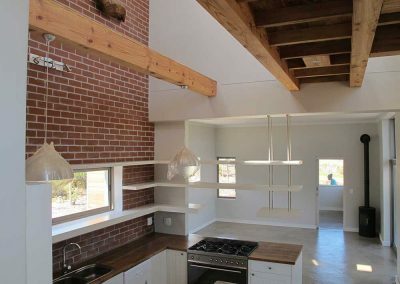 Sustainable Designs are weird looking. 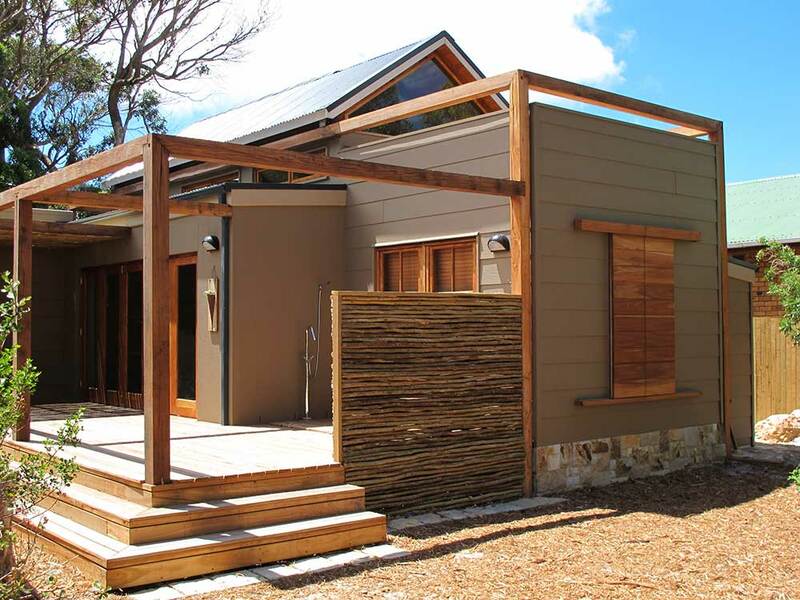 Any style of existing home can benefit from the sustainable design principals and practices. Changes to existing buildings may go unnoticed by the casual observer. Optimum efficiency building design must differ from accepted, inefficient building design, but a well designed home is usually a good looking home.